It's that time of year...holiday gatherings are being organized, gifts are being bought. 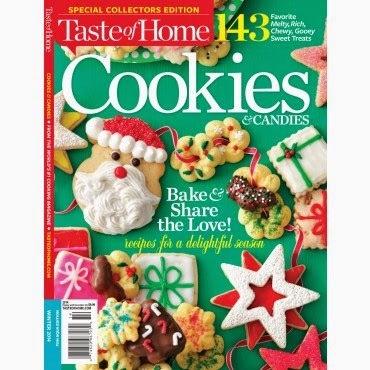 This is a super easy recipe that I like to serve at parties and holiday gatherings. It can be made days ahead of time too. Don't let the stress of entertaining get to you. Enjoy this simple recipe instead!! 1. Mix cream cheese, ranch mix, and cheddar cheese together. Let chill in refrigerator. 2. After firm, form into a ball and roll in pecans. 3. Serve with your favorite crackers. YUMMY! I am cheese's biggest fan. Seriously. I love cheese. And I love ranch. I must try this! 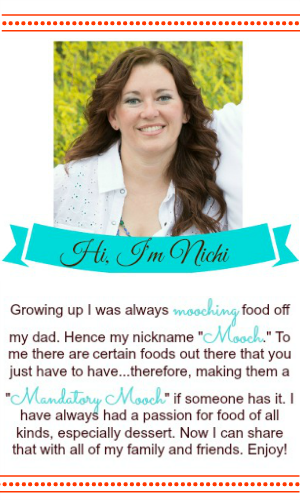 Thanks so much for sharing on Marvelous Mondays, Nichi! I Have never had a home made cheese ball. Store bought ones make me itch. Nothing in here makes me think that will happen. Perhaps I will try this. Thank you for the recipe. Cheeseball + crackers = Christmas Eve at my house! This makes me want to make my own again. I have been making This cheese Ball for over thirty years after I saw it published in the Houston Chronicle. I also add 1/2 cup of sour cream. YUM! Thank you for linking up with the Clever Chicks this week; I hope you’ll join us again! 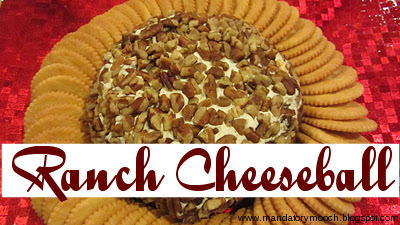 Your Ranch Cheeseball will be perfect for the season, it looks awesome! Hope you are having a great weekend and thank you so much for sharing with Full Plate Thursday. What a great appetizer for the holiday's or a Super Bowl party! 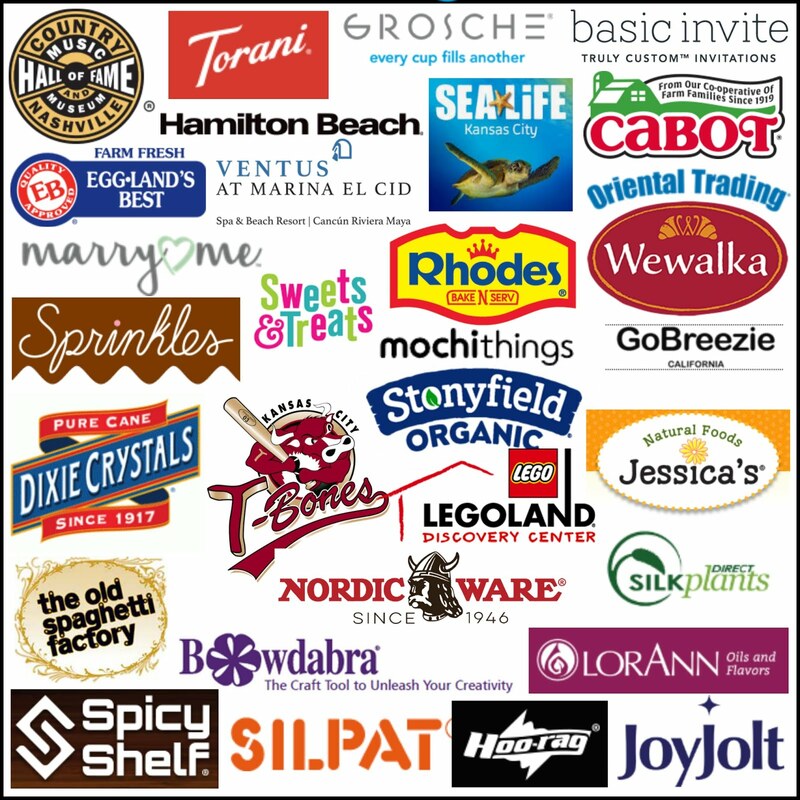 Thank you for sharing at All my Bloggy Friends. I can't wait to see what you share this week. Great simple, yet elegant recipe. Thanks for sharing at Foodie Friends Friday.